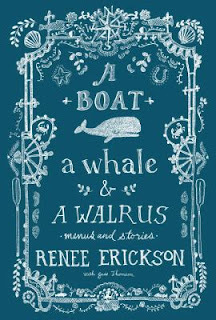 A Boat, a Whale & a Walrus by Renee Erickson, was another book we were excited to explore due to its Northwest ties and local restaurant glamour. 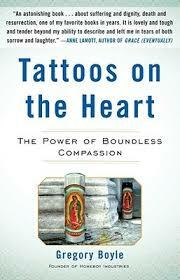 What was your first impression of this book? Thought it was great…. loved the pictures! I love it. I like the local angle…a real hometown flavor and really liked how each season had key ingredients with bonus recipes. Normally just skim over parts without photos, but this was so good. Very trendy. She's got a real goldmine! Really like the format, with seasons. What did you like about it? Liked the pantry and supply list. Different kinds of salts. Loved ideas like the pickled lemon, great tips! Liked the backstories, such as the umbrellas. People wander in and become part of her circle, like the art teacher doing the book cover. Gives everyone credit…farms, photographers…so generous! 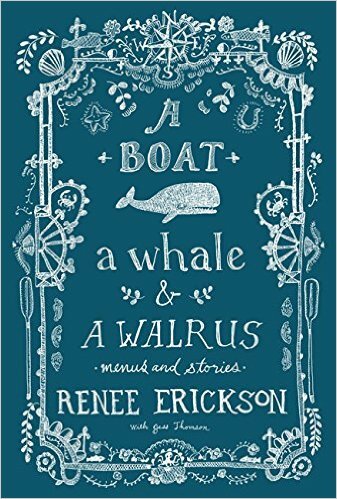 Liked the connections between other authors we have read. Almost like a mini-series or soap opera. Was there anything you disliked? Too many specialized ingredients. Weirded out by recipe with the lining of the stomach. Too much monochromatic food (such as on p. 68 - herring butter toast). Which part of the book made you drool? Everything, except sausage wrapped in caul fat. Barbara - rice pudding cups. Laura – Crab Melts and roasted rhubarb with ice cream (not pictured). 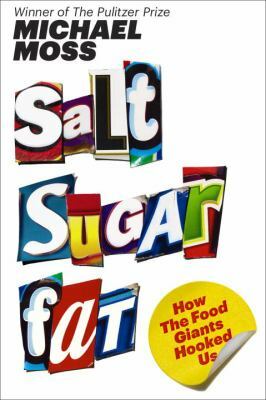 Next month we will be discussing- Salt Sugar Fat: How the Food Giants Hooked Us by Michael Moss. Not sure if we will be avoiding food with those ingredients, or indulging in them ;) Lots of copies of this book available through local libraries!